Bridgetown CrossFit and Barbell Club » Bridgetown CrossFit WOD • What is CrossFit? For the next 5 weeks the Friday CrossFit WOD will be the or a version of the CrossFit Open WOD announced on Thursday evening. This does not mean you are “doing the Open”. 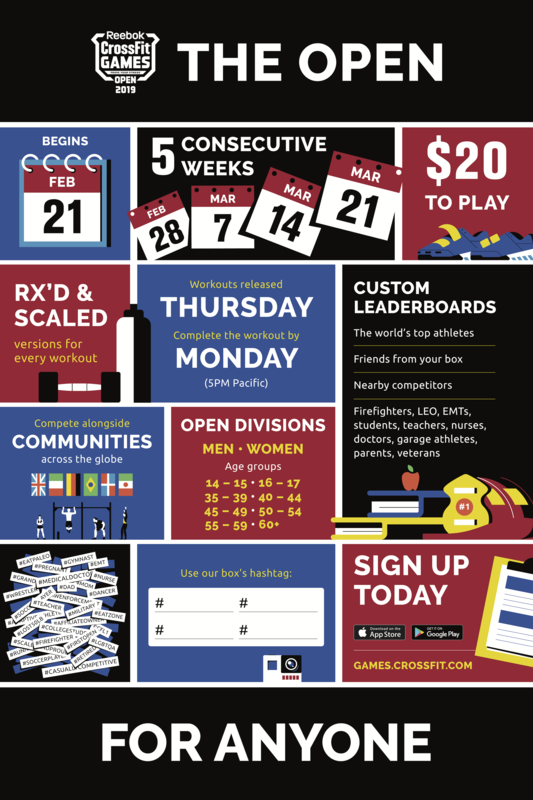 To truly be a participate in the Open you must sign-up online at www.games.crossfit.com, have a judge validate your workout while you do it and submit this score by 5pm on Monday. Our CrossFit methodology is organized around the principle that being fit means being prepared for a competition. Therefore, if you are participating in our CrossFit training program, the CrossFit Open should be the apex of your training. What better way to evaluate your training than to put it to the test? !